George HW Bush was admitted to Houston Methodist Hospital on April 22, a day after he attended the funeral of his wife, Barbara, the former first lady who died on April 17. George HW Bush, who was president from 1989 to 1993, was admitted to the same hospital about a year ago. Austin, Texas: Former US President George HW Bush, 93, was discharged on Friday from a Houston hospital, where he stayed for nearly two weeks for treatment of an infection that spread to his blood, a family spokesman said. 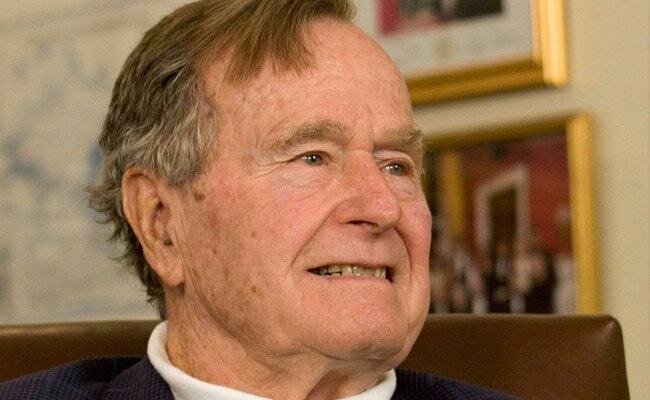 Bush, the oldest living former US president, was admitted to Houston Methodist Hospital on April 22, a day after he attended the funeral of his wife, Barbara, the former first lady who died on April 17. The couple had been married for 73 years.